Bird offers the new Bird RF Meter App designed to enable Android smart phones to become a power meter capable of connecting with the Bird USB Field Sensors. 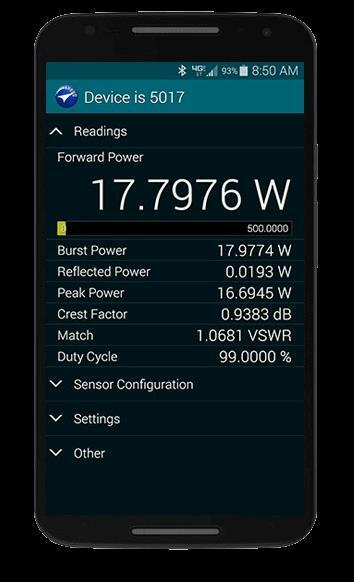 This app features a user interface with an intuitive, menu-driven design, making it simple to use and ideal for field techs and engineers who need to make power measurements on-the-go. The Bird RF Meter App allows the user to set up sensors with the appropriate configurations, correction factors, offsets, zeroing calibration, and element type selections. The application is also capable of producing a smoothing level for more stable readings or maximum hold to detect the maximum measured power. Contact Bird Technologies for more information on the Bird RF Meter App.